When you stroll into Wal-Mart today to pick up some cheap meds and plentiful toilet paper, you may notice a new PC for sale in the electronics section. Everex has released the Impact GC3502, its new $298 “green” PC that uses 20W of power at most thanks to a 1.5GHz VIA C7-D processor. You won’t find any thrills on this system, though it’s not a piece of crap necessarily. 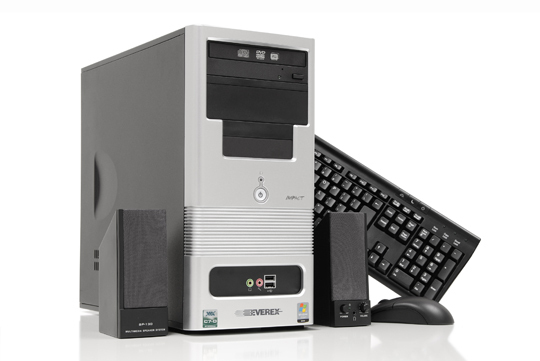 A plentiful 1GB of RAM is included, along with with OpenOffice, an 80GB hard drive, DVD/CD-RW combo drive, and Windows Vista Home Basic. Don’t expect to be firing up any games on this PC. It’s designed for the budget-minded student or computer user that needs basic features like word processing and Internet browsing. No word if you get a monitor with this “green” PC, though I’d venture a guess that you do not.